Sprint Cup driver Kyle Busch edged fellow Cup driver and event host Tony Stewart in Wednesday night’s Prelude to the Dream charity dirt-track race at Eldora Speedway in Rossberg, Ohio. 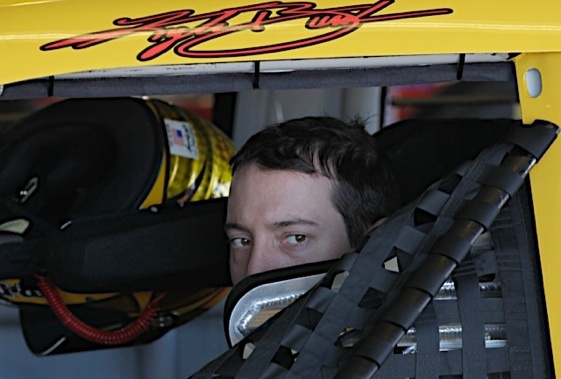 Busch, who drives for Joe Gibbs Racing in the Cup series, started second. He ran among the leaders in the A Main for most of the 40-lap late-model race. Busch got a big break when leader Kasey Kahne, also a Cup star, wrecked with Bobby Labonte. “When Kahne had his mishap, we inherited the lead and just were able to set sail from there,” Busch said. “I felt like Kahne had a fast car tonight. He was probably the class of the field. Bowyer was really hustling hard and making it work through traffic and got by him. Then we caught the lapped cars and everybody just slowed down, the pace slowed up and everybody got loose trying to slide each other. The race benefited Feed The Children with the net proceeds from the HBO pay-per-view telecast. Danica Patrick raced for the first time on dirt and finished 15th. Austin Dillon, who runs in the NASCAR Nationwide series, finished third. The all-star field included drivers from the NASCAR Truck series, IndyCar, NHRA and World of Outlaws sprints.